Pet owners are notorious for wanting the very best for their pets, and pet foods and various pet accessories are the best ways of ensuring that. 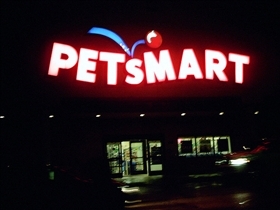 Among the pet stores that are often the subject of comparison are Petco and Petsmart. Both stores have their relative strengths and weaknesses however, and this comparison article should clue you in to some of the more significant ones. The facilities at Petco are unfortunately sometimes seen as shabby and border on unsanitary. Most of the housing facilities in many of the stores were dirty, and the bathrooms weren't much cleaner either. In addition, I found that many stores had grooming station that were littered with stray hairs and they had, of course, had the tendency to stick to clothing as hairs often do. Even the fish tanks could have used a bit–make that a lot!–of cleaning, and some even had dead fish lying about. More bothersome was the fact that many products were mislabeled with the wrong price tags, or were simply placed on the wrong shelves. The Petsmart stores were refreshingly clean in contrast, and most of the items were stocked in the appropriate locations and correctly labeled. The toy aisles were generally well organized, and even the bathroom facilities were clean and inviting. Petco did redeem itself somewhat with friendly customer service personnel and many of the stores were staffed by people who greet customers as they enter. In addition, Petco personnel were almost always accommodating to humans as well as pets and they were often quite helpful with regard to giving out informed advice as to which products to buy. For all the stores’ cleanliness, Petsmart could take a cue from Petco in terms of customer service. Many of the stores we walked into simply did not have staff in hand to assist in our purchases, and we often had to wait several minutes for customer service staff to attend to our needs. The checkout process wasn't any better, and it often seemed to take a lot longer than it should have–certainly a lot longer than we had to wait at Petco stores. Both Petco and Petsmart had similar prices on their products, although Petco’s items were priced just a tad bit higher. We saved over $30 off purchases made at Petco compared to buying the same items online. It’s not that Petsmart’s prices were that much higher mind you; it is just that we got slightly better deals at Petco. The items at Petco were also of a higher quality and freshness, and they had more of what we wanted on stock. I was surprised that you got better deals at Petco than Petsmart. I always shop at Petsmart because of not only the cleanliness and organization, but mostly for the better prices and deals that I get by using my PetSmart coupons on a regular basis. I think the customer service is better too, at least in my city.